As part of the larger NextCare Urgent Care, this clinic has affiliates with the closest other clinic being in Columbia about 4.0 miles away and is open today from 9:00am to 8:00pm. Recognized favorably amongst their patients, Providence Urgent Care, Columbia (Stadium Blvd) has an average rating of 4.7 stars out of 5 based on 632 total ratings. 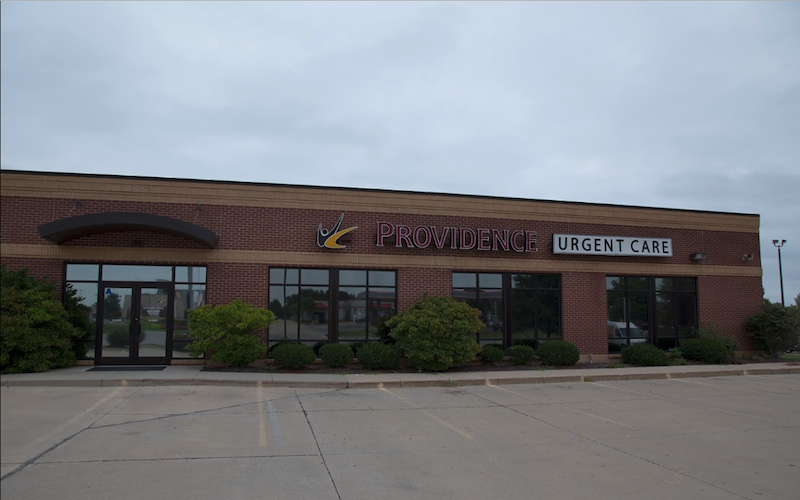 Providence Urgent Care accepts many major insurance plans and multiple forms of payment, making it easier to get the affordable care you need. It is always a good idea to contact your insurance company before your visit to ensure the Clinic is in network for the service(s) you're seeking. It was a pleasant experience, giving relief that I didnt break any ribs or have water in my lungs by way of x-ray. Proceeded to see a chiropractor for further tests because it was my back and ribs bothering me. Very nice and helpful. Good with kids and families as well. Professional friendly and knowledgeable staff in all areas. Very short wait time- filled out forms, 2 minutes in room with nurse. Very friendly staff. This was my first visit to the Providence Urgent Care clinic. The facility was very nice and clean. The staff was very kind and considerate. Dr. Jose asked questions, listened to me, and was very patient and thorough with her examination. I highly recommend this clinic. Nurses and doctors were friendly and very efficient. Excellent facility! The staff made me feel welcomed and comfortable, they resolved my issue and I felt really cared for! Highly recommend this location! One of the most caring doctors and nurses that I have ever experienced. I got in right away and was treated with respect and was diagnosed and sent to pick up my rx. I would highly recommend them to anyone. I was very please with Providence Urgent Care. Did not take long to get checked in. Waiting time to see doctor was very short. Staff was very professional and courteous. The staff and the Nurse Practioner on duty was very professional but friends as well. Coming in here as a Safety Professional, I would recommend bringing my employees here as well. I was seen quickly and the staff listened to my concerns. Very professional, glad they are another option! The doctor and nurse were very friendly and very thorough. The wait time was longer than I would’ve liked, however I realize that they triage patients and there was a woman who got there after me and was seeing before me but she was a lot sicker than I was. I Think that I received good care and I will definitely go back again if I need to. The staff was fast, concerned and did a great job!